IPMI provides better server management via hardware applied directly into the server’s motherboard and accessible through your CORE client portal. Unlike most vendors that require a hardware key or software, all HostDime’s motherboards include dedicated KVM-over-IP functionality. 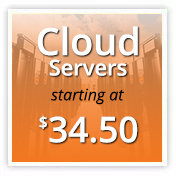 This functionality and reboot capability allows you to control your server remotely. IPMI is an independently running system so even if your server is off or not responsive, you can still use IPMI to access KVM or to reboot, via network connection to the hardware. 1. After you have logged into your CORE account, select “Dedicated Servers” from the navigation, and click the eyeball to the left of your dedicated server. 2. Click the “Server Control & KVM” option, and Select “Remote KVM” from the list on the far right. 3. A java file will then be downloaded to your computer with the name of your server number. Open the file and select “Virtual Media”. 4. Click the “CDROM&ISO” tab, then choose “ISO File” from the Logical Drive Type drop down menu. Then click “Open Image” on the right hand side and select the .iso file from your local computer. Once you’ve selected the ISO, click “Plug in”. 5. The ISO is now loaded onto your server. Simply place a reboot request within your CORE panel, then proceed with the OS installation once the server is back online. For any questions you may have concerning IPMI and HostDime’s servers, hit us up on chat. This article was written by HostDime’s Content & SEO Strategist Jared Smith.